By Sofia AK in Mobile. Updated on July 6, 2017 . Have you ever found yourself in a situation where you need to write down a thought or an idea just to find that you do not have a pen and paper with you? While it isn’t convenient to bring a pen and paper out, a majority of us now own a smartphone, so there lies the perfect note-taking device that can follow you everywhere you go. There are many note-taking apps out in the market for smartphones. 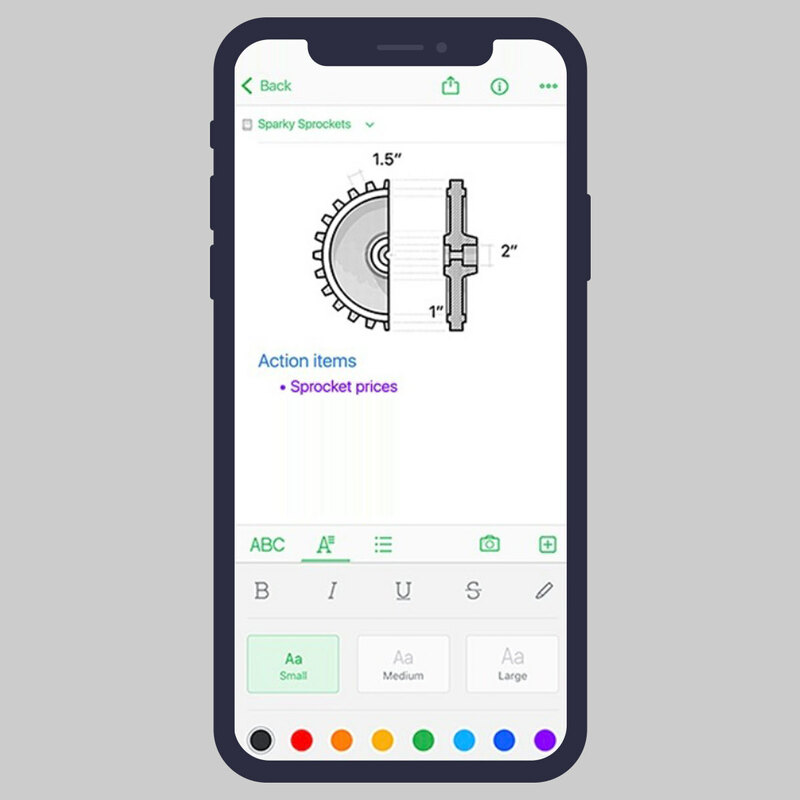 Most of them have plenty of great features to better organize your notes and a lot of them work on multiple platforms allowing you to sync and take your notes wherever you go. Here are 10 more note-taking apps for both iOS and Android you can try out for free. Evernote is one of the first (and best) app people will think about when it comes to note-taking. It is available on multiple platforms: Web, desktop, iOS, Android, and Windows Phone. You can sync your notes across different platforms, allowing you to have access to all your notes no matter what device you own or work from. It also allows notes in the form of pictures and you can share your notes with anyone through email or via Facebook. You can learn more about Evernote tips here. If you are tired of registering for accounts just to take notes, try Catch Note. You can sign in using your Facebook or Google account then create voice notes, photo notes and text notes. You can also set reminders so that you won’t miss out on something important. Catch Notes also lets you set a 4-digit passcode for sensitive notes you want to keep private. You can also create shared spaces, and the notes created within will be synched and backed up in everyone’s device. Love hastags? Then, rejoice because you can use hashtags to organize your notes with Fetchnotes. As a to-do and note-taking app, Fetchnotes lets you put several hashtags to each note you make. You pull the notes up by the tapping on the hashtag you want. If your smartphone runs out of juice and you have a basic phone with you, you can send notes to your Fetchnotes account by sending a text message; normal rates apply. 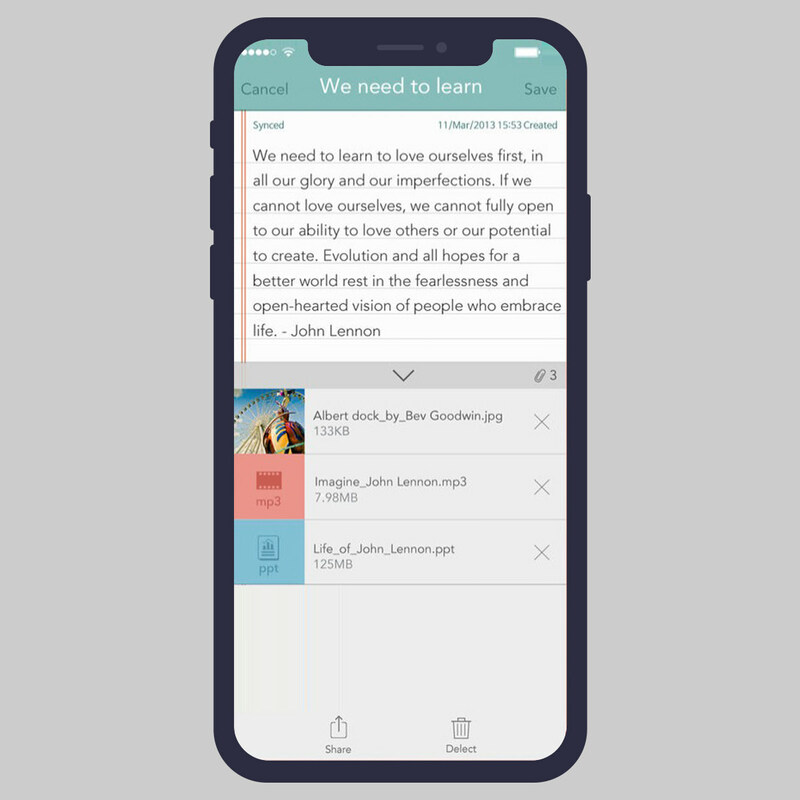 SomNote is a user-friendly note-taking web app where you can create multiple notes with the option to attach media files or documents. Store them up in multi-colored folders, and if you are going to store a lot of notes, SomNote offers 100MB of free cloud storage for every account. Plus, with a registered account you can sync all your notes on any device you run SomNote on. SomNote allows you to access different multiples of saved notes in case you mess up the most recent ones. You can also secure your notes by encrypting it with a 4-digit password. Spring Pad is a note-taking and bookmarking app. Sign up with your Facebook, Twitter, Yahoo or Google account to get started. You can create a few notebooks (folders) to differentiate and organize your notes. Customize your folder with tags, different colors, categories, set it privacy options and more. There are different types of notes you can add such as product, movies, checklist, recipes and many other kinds of notes. Furthermore, you can search or explore interesting notes within the Spring Pad community, and leave comments to interact with the owner of the notes. Any.Do is a reminder (to-do) comes note taking app. It has alarm reminder, and for Android you can pin your notes/to-do on your home screen. You can set the alarm to ring only once or you can set it to recurring. Any.Do allows you to use the speak feature if you do not want to type. You can arranged your notes according to dates or you can store it in folders. When you don’t need the notes or you have completed all the tasks, you can delete all the completed note and task by shaking your phone. Microsoft OneNote is one for Microsoft office fans. With Microsoft OneNote you can view your excel files, powerpoint slides and graphs on your phone. To edit the files, open Office Web Apps on your phone browser and you can change text, create tables, make slides and many other functions that Microsoft Word, Microsoft Excel and Microsoft PowerPoint has all in one program. You can access all your notes on your mobile devices if you sync them to your Skydrive account. The Microsoft OneNote app is free for both iOS and Android but you’re limited to only 500 notes, after 500 notes you need to purchase the unlimited version for $4.99. 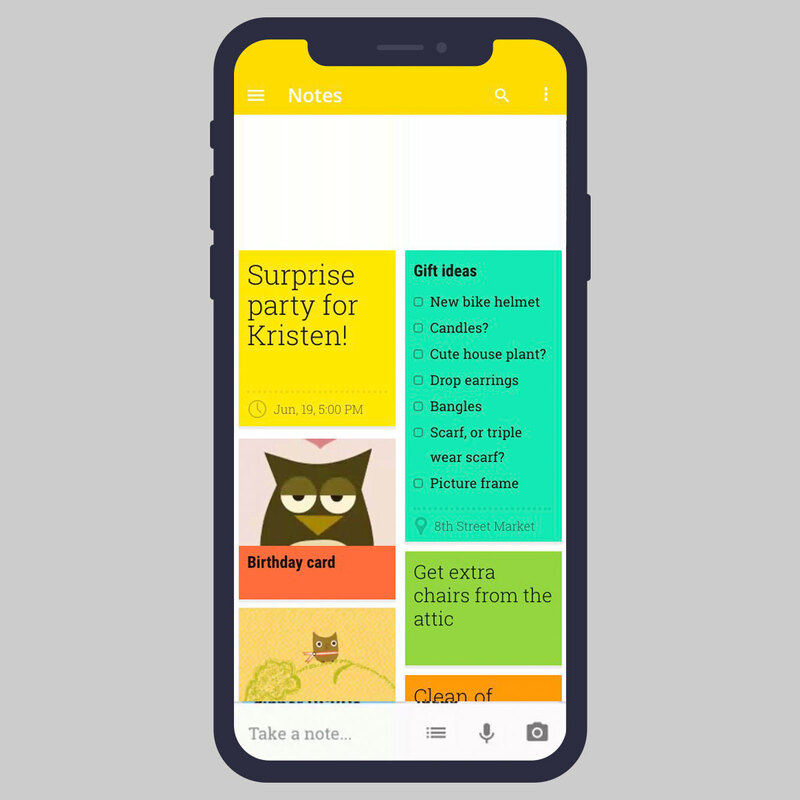 Google Keep is a note taking app from Google with a very simple interface. You only need to insert the title and the note to create a new note. You can also add an image to the note and a color to differentiate your notes. So far, there is no dedicated Google Keep app for iOS yet, just for Android via a handy widget. With the widget you can have a faster access to create notes or to look at your notes. There’s also speech-to-text feature where you just need to tap on the microphone and dictate your notes for safekeeping. AudioNote is handy note-taking app that synchronizes audio recording with your note taking. In other words, the notes you type in by hand match up with the time stamps in the audio recording. For example, if you insert the note at minute 2:21, when you press to view the note it will play the recording at that second. You can add images too in place of text. You can sync AudioNote to Dropbox or iCloud. The free version of AudioNote offers you a maximum of 5 minutes of recording. To record longer than 5 minutes you can upgrade AudioNote for $4.99. Awesome Note doubles as a task management app. Create folders and change the color, icon and privacy setting for each folder as required. For those who like to personalize their notes, they can choose from 48 different fonts to create their notes in as wel as add images or add map locations in the note. Attach alarms with your notes to remind you about the tasks you’ve set. The alarm can be set to ring only once or on repeat. Sync your notes via Google or your Evernote account, and if you are a user of Samsung Galaxy Note, the app is already pre-installed in your device. Outside of that, it is supported only on iOS.